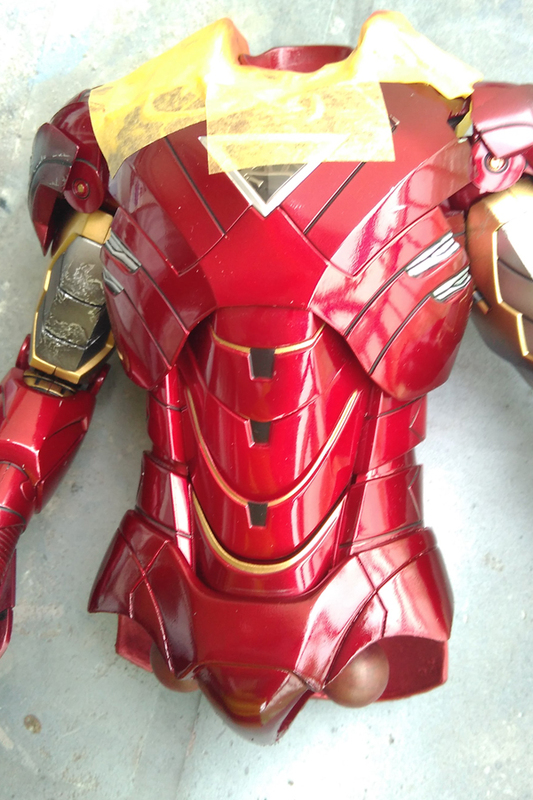 Reduce paints crack problem on Hot Toys Iron Man repaint. Been doing this Iron Man repair work for couple of years. 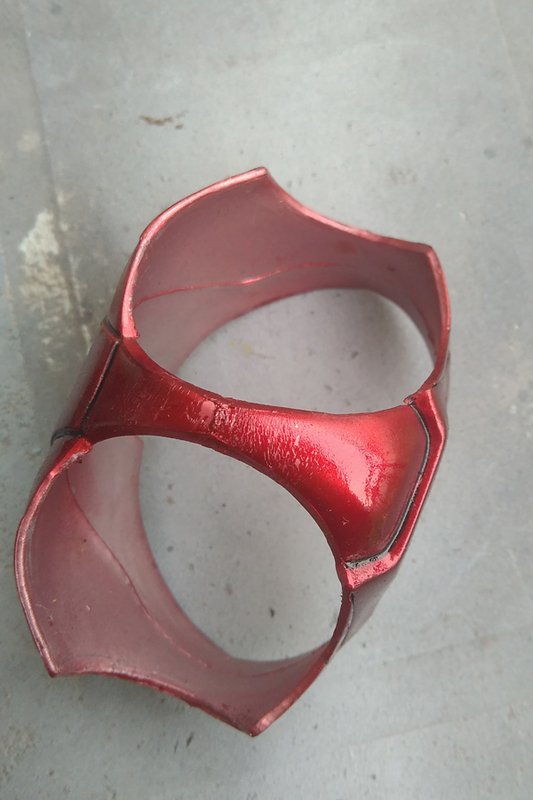 It is advice not to pose too much of the figure after repaint, but still accident will happen. Repaint work done by other, the paint all crack up, i had to remove all the paints and redo all the paint work. 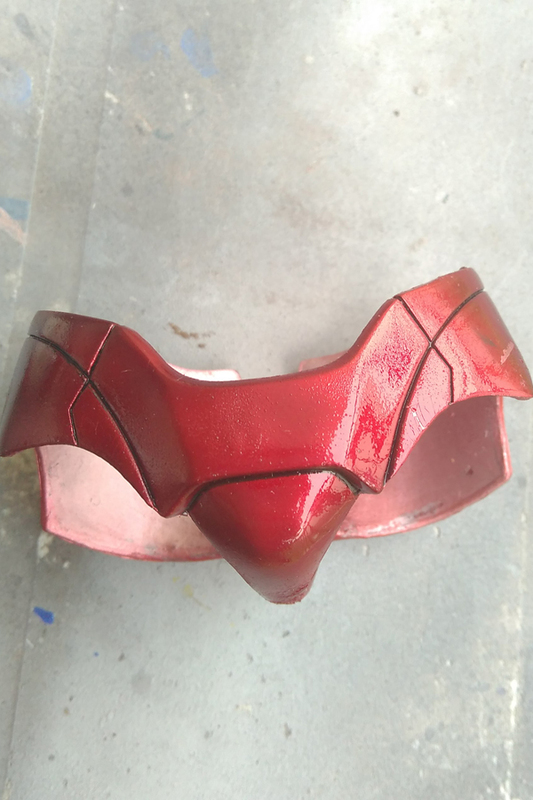 The crotch armor after remove all the paints. Before i paint it with Gaianote clear red, i use Tamiya polycarbonate paints for the base (PS12 and PS37). 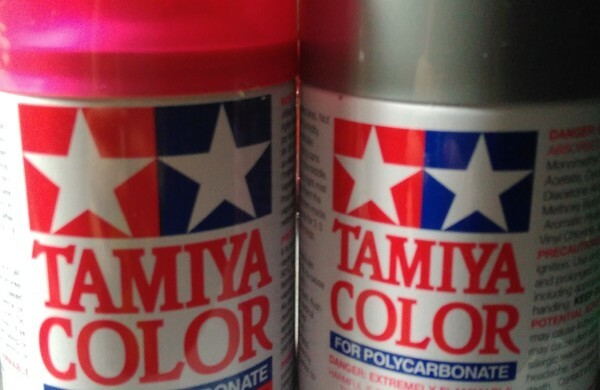 It’s a type of paint designed for RC car body shell, which is more flex-able compare to normal lacquer paint, the pro of this paint are it’s also lacquer base can be thin with normal lacquer thinner, as for the con is this paint more grainy and rough. I de-can them and use airbrush to apply. 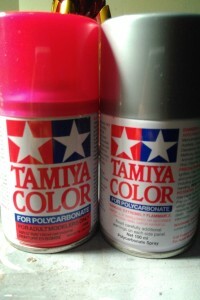 Lastly, spray a couple of gaianote clear red on top of tamiya PC paint, to get the more accurate red tone. 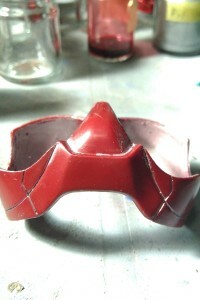 The theory here is to get the paint work as stretchable and flex-able as possible. Even don’t remove the factory rubber paints will help too. I only apply on the rubber part, hard plastic don’t have crack problem at the moment. PC paint also known as Lexan in other brands, are design for rc car shell.